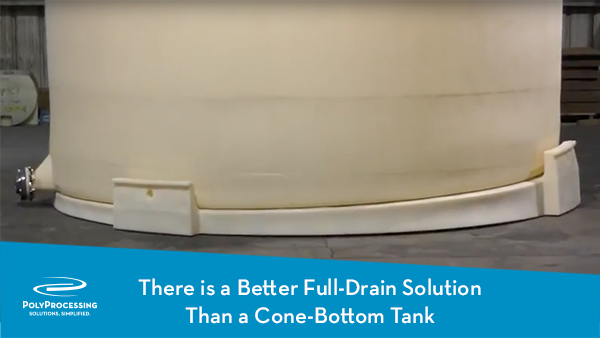 When it comes to fully draining a tank, cone-bottom tanks get the job done—except when they don’t. The fact is, cone-bottom tanks fall short on several fronts. Cleaning cone-bottom tanks creates unique challenges, they require additional vertical space and safety precautions, and they can cost a pretty penny. So, how do you get all the benefits of a cone-bottom tank without the high maintenance or the hefty price tag? Secondary containment is an important safeguard that helps plant operators mitigate the costly risks of chemical spills. Many companies are realizing the business advantages of switching from open-top tanks and concrete basins to a double-wall containment system. When our customers are weighing their options, they usually have several questions about double-wall containment. Here are some of the most common questions and answers about double-wall containment systems. Proper chemical storage is an important aspect of operating a plant or facility. In order to ensure that your chemicals are stored safely in polyethylene tanks, you need to choose a tank with the correct wall thickness. A fraction of an inch can make the difference between a tank that lasts for decades and one that fails early. Here’s what you need to know about determining the correct wall thickness for your chemical storage tank. Properly storing chemicals also means completely draining your storage tanks. Your regular maintenance and cleaning routine must include fully draining your chemical tanks to prevent contaminating new batches. But sometimes, draining the tank is easier said than done. Space constraints, incorrect fitting placements, and dealing with hazardous chemicals can all complicate routine maintenance.